Homemade preserved vegetables in oil remind me some moments from my childhood: a kitchen tables full of vegetables, aunts, grandmothers, cousins, and brothers intent to peel and cut, acrid smells in the air and the atmosphere of a peasant festival. A lot of work and waiting weeks before sampling the product of our toil, but it is so good, really better than the preserved sold at the store! Today I prepare artichokes in one of the many classic Italian versions (because basically every Italian family has its own recipe “classic”!). To savor this delicacy is indispensable to perform certain steps strictly in order to avoid dangerous contamination. 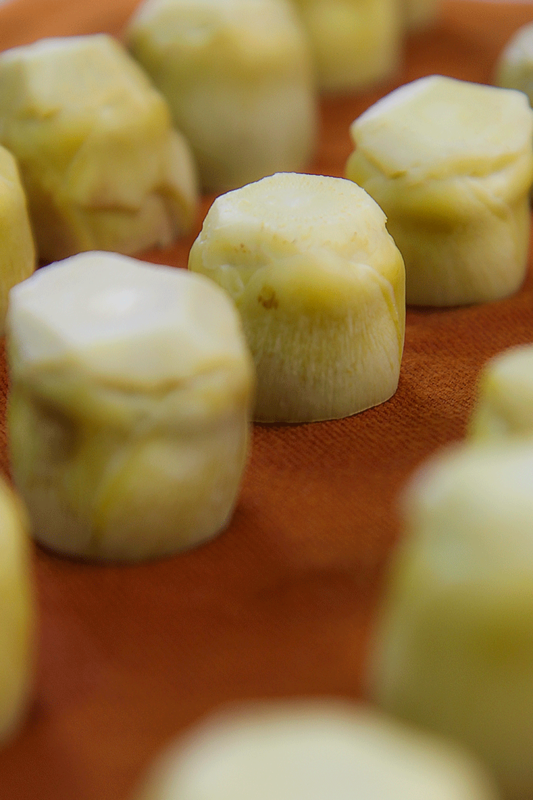 To prepare baby artichokes preserved in oil is very important to be extremely careful with the process of preservation. 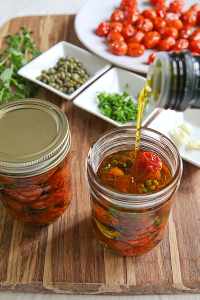 Use only specific canning jars (never use recycled jars) that will be sterilized carefully. The lids must be free of deterioration, stains or discolurations. The oil must be of excellent quality. The oil and the sterilization of the jars will protect the preserve in oil from most the contaminators. To avoid any risk it is appropriate to scalding the vegetables in an acidic solution composed of 50% water and 50% white wine vinegar: this process in addition to protecting the food will give it greater consistency and a more uniform color, and are more enjoyable to the eye and the palate. First sterilize the jars and lids, boiling them in water for 25 minutes. To avoid any cracks, separate them with a clean cloth. 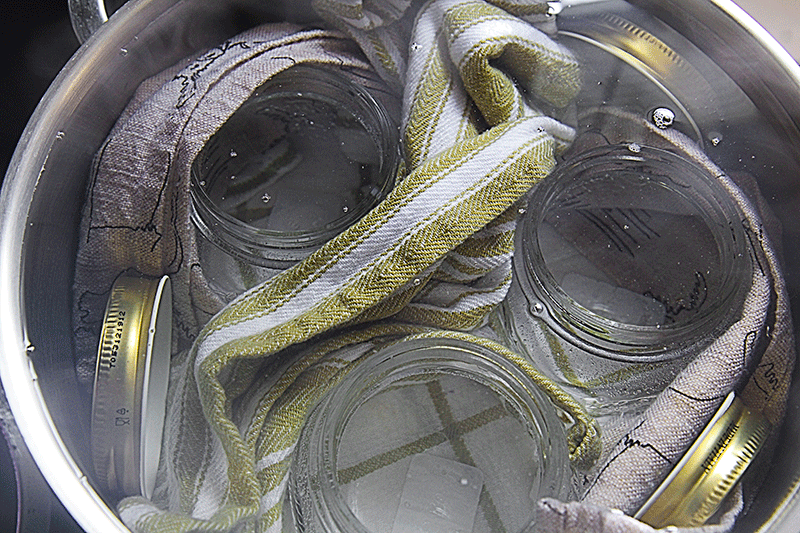 After boiling, the water remove the jars and lids with a forceps without touching the inner parts and let them dry completely upside down on a clean cloth. While the jars are drying, clean up the baby artichokes. Prepare an acidic solution squeezing the juice of one lemon in 1 pint of cold water. Now, cut the base of the baby artichokes removing the stem, then cut the artichoke’s head on top about 1/3. Now, remove the more leathery leaves until to obtain a soft and pale heart. Finish the base of baby artichoke removing any residue tough, then rub the baby artichoke in the outer shell lemon juice. finally dive it in the acidulated water. 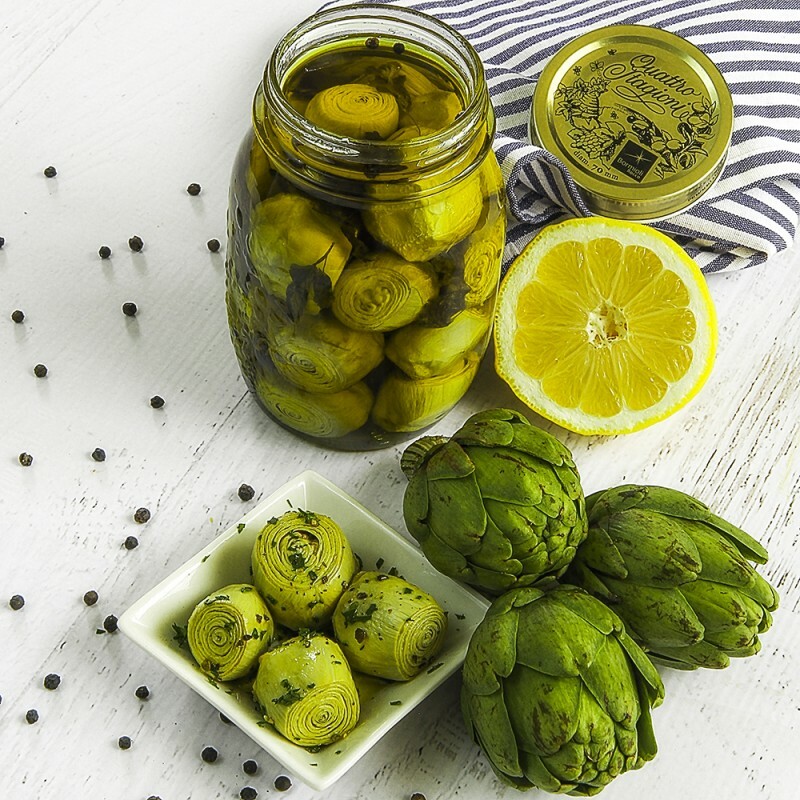 If possible, use a ceramic knife: together with the lemon juice slow down the oxidation process by preventing the artichoke will blacken quickly! 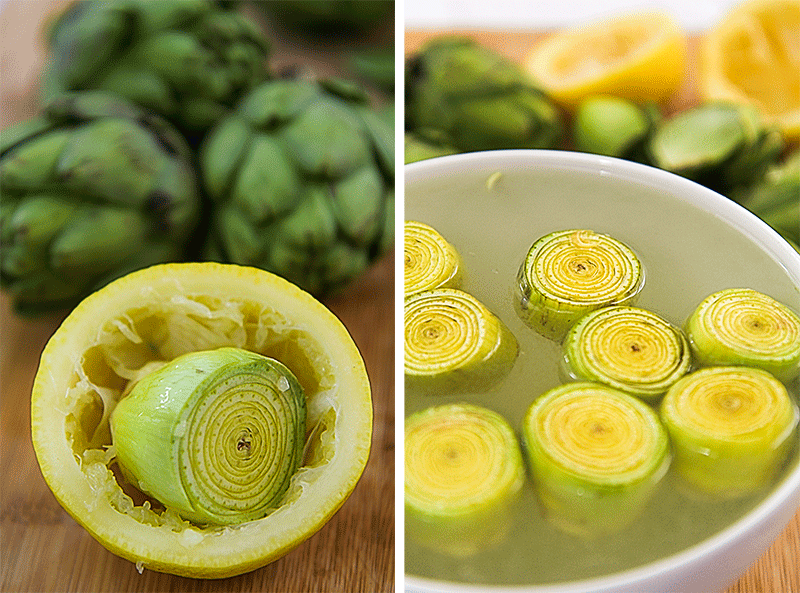 Keep the baby artichokes in water and lemon juice until the time to boil them. Here there is a little video that I made to show the process, click just to have a good jazz to enjoy while reading 😉 . To make a correct conservation and ensure a proper consistency, prepare in a pot a solution with 1 qt of white vinegar, 1 qt of water and 1 tbsp of salt. Bring the water to the boil then let’s dive baby artichokes and the caps of lemon juiced. Boil for 3 minutes then drain the baby artichokes. Boil also the bunch of parsley for 1 minute. Stand the baby artichokes and the parsley on a clean cloth for a few hours, until they are completely dry; the tradition is to let it dry over night, but sometimes it takes less time, especially if you change a few times the cloth as it gets wet. Check that the jars are dry to prevent contamination. 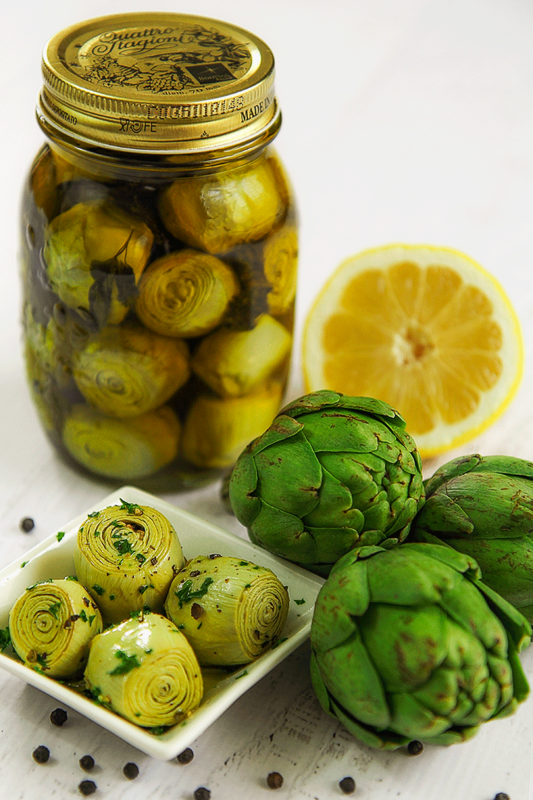 When the baby artichokes and the parsley are completely dry, put them into the jars along with the black peppercorns. Add the oil until completely submerge the baby artichokes, then we press all gently to avoid leaving air bubbles. To obtain a good preservation leave about 1/2 inch between the baby artichokes and the edge of the oil, to be sure that these do not re-emerge during the resting phase. Close the lids and store from two to six months in a dark, cool and dry place before consuming them. To be sure to have removed all the air bubbles and check that there is enough oil to submerge the baby artichokes, open the cans on the day after they are prepared, adding more oil if necessary. To be sure to do not run into contamination, observe the jar open before consuming baby artichokes. If you have been followed the instructions correctly, there will be not any problems, but don’t eat them if observe consistent discoloration, oil cloudy or white spots on the surface. Before serving, add minced fresh parsley and a sprinkling of freshly ground black pepper. Homemade preserved vegetables in oil remind me some moments from my childhood: a kitchen tables full of vegetables, aunts, grandmothers, cousins, and brothers intent to peel and cut, acrid smells in the air and the atmosphere of a peasant festival. A lot of work and waiting weeks before sampling the product of our toil, but it is so good, really better than the preserved sold at the store! Today I prepare artichokes in one of the many classic Italian versions (because basically every Italian family has its own recipe "classic"!). To savor this delicacy is indispensable to perform certain steps strictly in order to avoid dangerous contamination. While the jars are drying, clean up the baby artichokes. Prepare an acidic solution squeezing the juice of one lemon in 1 pint of cold water. Now, cut the base of the baby artichokes removing the stem, then cut the artichoke’s head on top about ⅓. Now, remove the more leathery leaves until to obtain a soft and pale heart. Finish the base of baby artichoke removing any residue tough, then rub the baby artichoke in the outer shell lemon juice. finally dive it in the acidulated water. 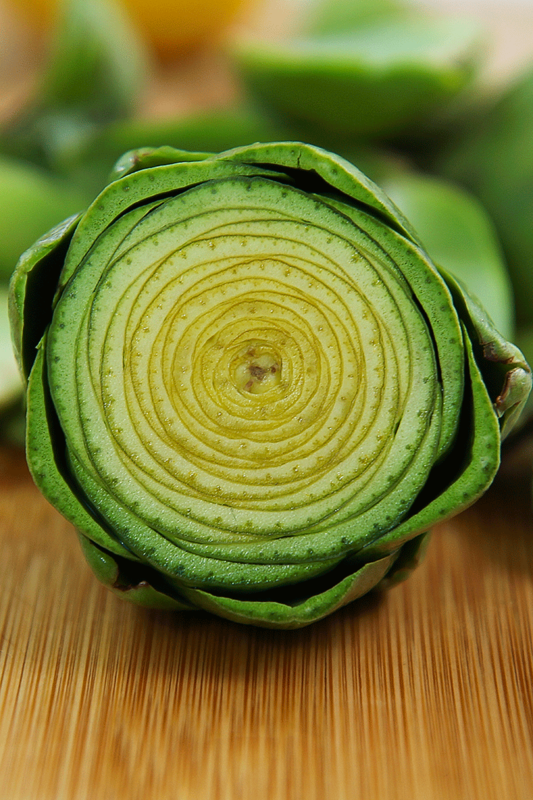 If possible, use a ceramic knife: together with the lemon juice slow down the oxidation process by preventing the artichoke will blacken quickly! 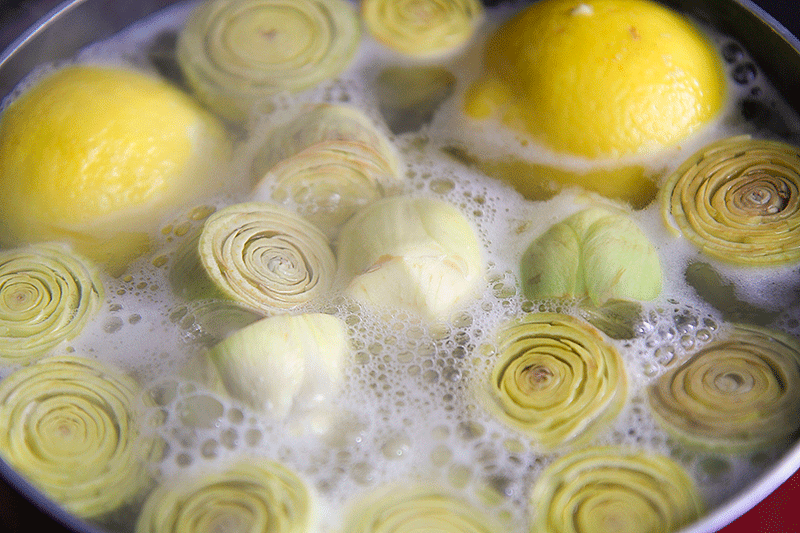 Keep the baby artichokes in water and lemon juice until the time to boil them. To make a correct conservation and ensure a proper consistency, prepare in a pot a solution with 1 qt of white vinegar, 1 qt of water and 1 tbsp of salt. Bring the water to the boil then let's dive baby artichokes and the caps of lemon juiced. Boil for 3 minutes then drain the baby artichokes. Boil also the bunch of parsley for 1 minute. Stand the baby artichokes and the parsley on a clean cloth for a few hours, until they are completely dry; the tradition is to let it dry over night, but sometimes it takes less time, especially if you change a few times the cloth as it gets wet. Check that the jars are dry to prevent contamination. When the baby artichokes and the parsley are completely dry, put them into the jars along with the black peppercorns. Add the oil until completely submerge the baby artichokes, then we press all gently to avoid leaving air bubbles. 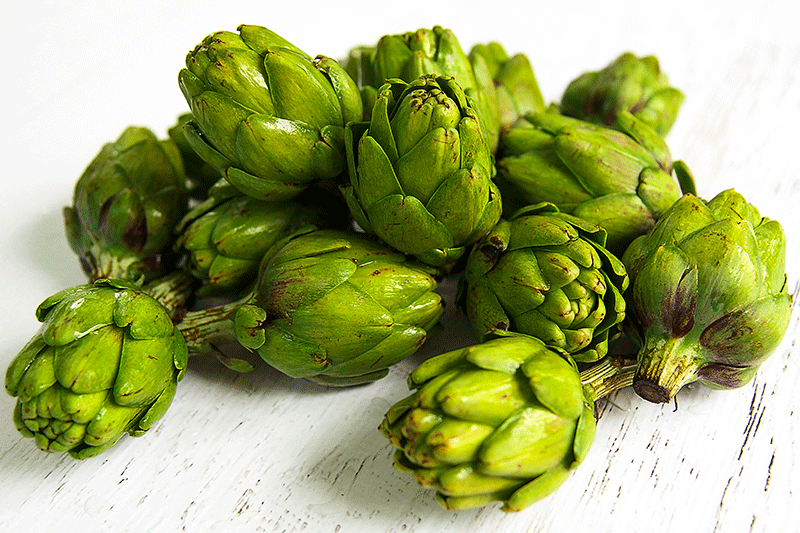 To obtain a good preservation leave about ½ inch between the baby artichokes and the edge of the oil, to be sure that these do not re-emerge during the resting phase. Close the lids and store from two to six months in a dark, cool and dry place before consuming them. To be sure to have removed all the air bubbles and check that there is enough oil to submerge the baby artichokes, open the cans on the day after they are prepared, adding more oil if necessary.